SMARTpaws is exclusively a veterinary sports medicine and rehabilitation therapy service. We aim to work with your primary care veterinarian to offer the best care available for your pet. We are passionate about providing all animals access to rehabilitation therapy. For this reason, we offer a mobile service to your home, so even pets that are unable to travel to a clinic can receive necessary treatment throughout the post-surgical recovery period, or as an alternative treatment plan. SMARTpaws is owned and operated by Dr Alexandra (Xani) Blecich. Xani spent several years working with human patients in allied health prior to completing her veterinary degree at Murdoch University in Western Australia. Xani has had the opportunity of working in veterinary practice at several large clinics within Australia and abroad that provide comprehensive, high quality health care including post-operative orthopaedic and neurological service. Xani has completed further certification in animal rehabilitation therapy in Australia and the US. The most rewarding part of Xani’s work is being able to help animals and the people attached to them get back to enjoying life together. Rehabilitation is still an emerging field in Veterinary Medicine and Xani is committed to sharing skills and awareness of rehabilitation with other health professionals to provide the best care possible for all animals. 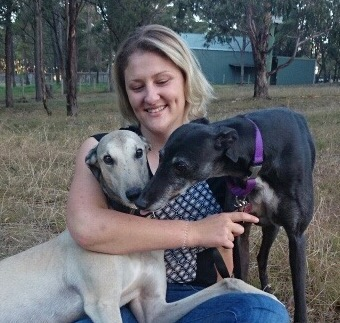 She has provided charitable work at several shelters in Australia and abroad and has also been invited as a guest speaker on rehabilitation therapy at teaching seminars with organisations including Animals Fiji, RSPCA, GRNSW and Greyhounds As Pets.